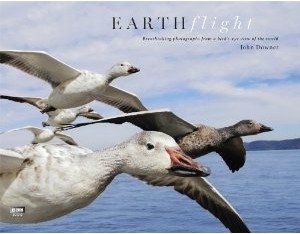 Earthflight uses ground-breaking technology to take you on a journey like no other - into the skies to fly with birds. Filmed using pioneering techniques to capture the majesty and drama of winged flight from an entirely new perspective, this collection of over 200 photographs from the landmark BBC series takes you across the world to experience some of the most stunning spectacles on earth in a new and inspiring way. From tussling with Alaskan bears to soaring with eagles over the Grand Canyon, Earthflight follows the migratory routes of a host of birds across the globe. Whether soaring above the galloping horses of Camargue in France or hunting for bats with red-tailed hawks, the book unlocks the secrets of the skies and offers a glimpse into a previously inaccessible world. Beautifully packaged and with detailed insights and an extensive look at how the series was made, this definitive guide offers a unique and awe-inspiring study of natural flight.